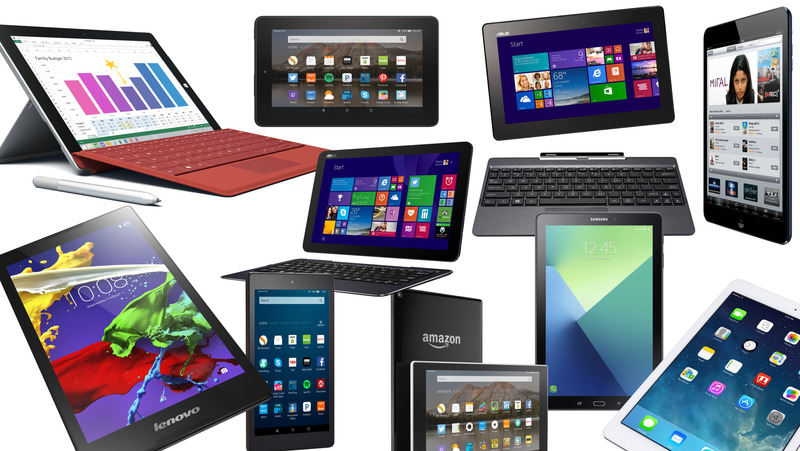 Hybrid tablets, 2-in-1 devices or detachable notebooks -- whatever you want to call them -- come in all shapes and sizes. In fact, the options are so expansive, it can be overwhelming to find the device that will best suit you. Whether you prefer a more traditional notebook experience or you're looking for a tablet that can perform like a notebook, it's more than likely the perfect option exists for you. But there's a lot to consider before you purchase a hybrid device, and these five tips will help you find your best option. You might be tempted to get a decked-out Surface Pro 4 with an Intel Core i7 processor and 16GB of RAM, but it's important to be realistic about the level of performance you need. For some users, a mobile processor and 4GB of RAM will be more than enough for everyday computing. For power users, or anyone who needs to run more taxing software, there are plenty of Windows 10 hybrid options that offer more performance. The Surface Pro 4 line alone has five different configurations and the option to customize your own device. It's important to note that a mobile processor isn't necessarily bad -- in fact, the Apple iPad Pro features Apple's A9X third-generation chip with 64-bit architecture. Apple's chips consistently perform well, and both the hardware and software are optimized to work with the chip to offer strong performance, so don't let the word "mobile" scare you. Bottom line: If you need business-level performance, you'll want to look at something configurable, like the Surface Pro 4. For anyone who just needs access to common apps, email and basic computing, devices like the iPad Pro and entry level Surface Pro 4 offer more than enough power. There are a three major operating systems to from which to choose -- iOS, Android or Windows 10. If you're already invested in the Apple ecosystem, you want to consider the iPad Pro -- you'll enjoy the continuity features between your iPhone and Mac. If you're interested in an Android device, you won't find many dedicated 2-in-1 options. But the reality is that any Android tablet can act as a hybrid in a pinch. Android tablets, like the Samsung Galaxy Tab S2 and forthcoming S3, typically feature a compatible keyboard case you can purchase. And there are plenty of third-party options that can connect via Bluetooth. So, while Android tablets typically aren't marketed as 2-in-1 devices, they can easily transform into one with the right accessories. And finally, there's Microsoft Windows 10. You'll find no shortage of hybrid devices running Window 10. Overall, it offers more flexibility than a mobile OS -- on a Windows 10 hybrid, you can download desktop applications, multitask with more apps at once and get a true notebook experience. Bottom line: If you use software or desktop apps that aren't available in the Google Play Store or Apple App Store, consider a device running full Windows 10. If your software can be found via mobile app, then an iOS or Android device will suffice. If you're looking for an entertainment device, you can get away with a smaller display size. But if you want a hybrid that lets you switch back and forth from business to pleasure, you want to stay in the 12-inch category. Two of the most popular hybrids, the iPad Pro and Surface Pro 4, feature 12.9-inch and 12.3-inch displays, respectively. This is the sweet spot with hybrid devices -- it gives you just enough space to multitask, while remaining compact and lightweight. With smaller hybrids, like the 10-inch Apple iPad Pro, Asus Transformer Mini or the 10-inch Samsung Galaxy Book, you can get work done, but it won't replace your notebook -- they're better as entertainment devices. And if you go over 13-inches, like with the Surface Book, you'll find they're usually less portable. Bottom line: If you want something lightweight and highly portable, that will allow you to get work done, consider something in the 12-inch category. Anything smaller will feel more like an entertainment device, while anything larger will feel more like a true notebook. While devices like the iPad Pro and Galaxy Book rely on a portfolio design, others like the Surface Pro 4 and forthcoming Dell Latitude 5285 feature kickstands on the back of the tablet display. Both designs come with pros and cons. Portfolio designs offer limited viewing angles, while kickstand designs can feel unstable on your lap. Some hybrids are designed like an average notebook, like the Dell XPS 13 2-in-1 or the Surface Book. They often feature larger displays, 13-inches or bigger, which means they're also typically bulkier than other options. These are for users who need a typical notebook more often than a tablet, but want the flexibility. 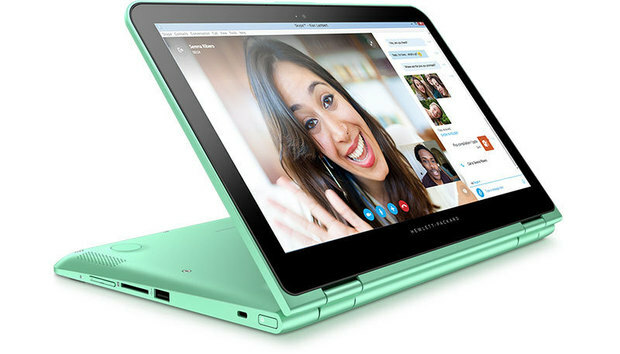 Bottom line: Hybrids that offer a true notebook experience usually do so at the expense of portability, while tablets with portfolio and kickstand designs may be more compact, there are some limitations in viewing angles and stability. You'll find hybrid options, like the iPad Pro, that feature only one port -- and that's fine for an entertainment device. One port is fine if you plan to use mobile apps, rarely need to connect to external displays and if you don't mind using an adapter or two in a pinch. But if you're planning to regularly use a workstation, or connect to an external monitor, mouse or keyboard, then you'll need something with more flexibility. Devices like the Surface Pro 4, Galaxy Book, Dell Latitude 5285, Dell XPS 13 2-in-1 and the Surface Book offer a wide range of ports. Of course, each device offers a different selection of ports, so make sure they're compatible with the peripherals you plan to use. Bottom line: If you plan to connect your hybrid to a work station, or use any peripheral devices, look at something with more than one port.